Checkbox version 2015 Q1 has been released to both Checkbox Online (hosted) and Server (installed) customers. 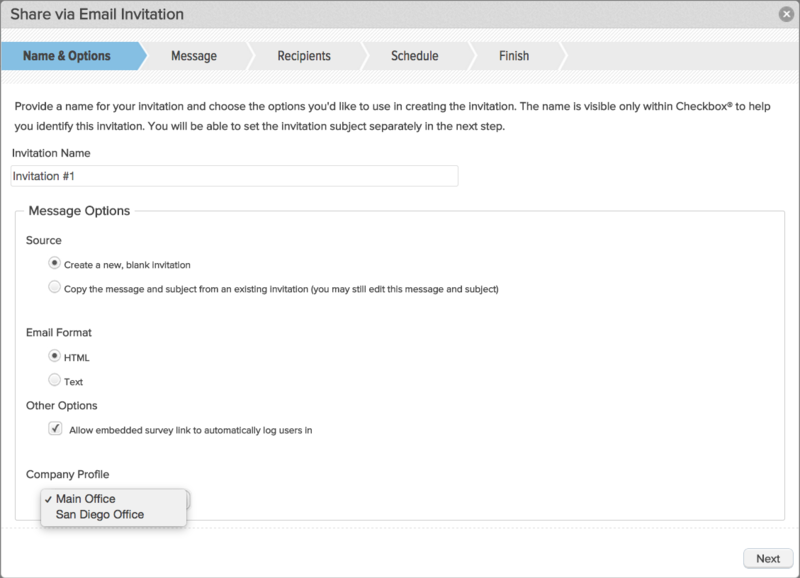 System Admins can now set up multiple company profiles for email invitation footers in the System Settings. 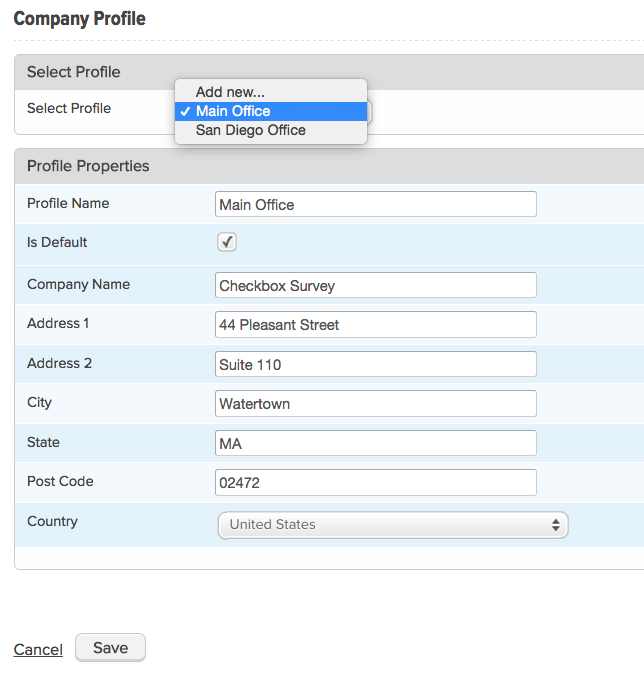 This will allow organizations with multiple locations to specify which location their survey invitation is coming from. It will also allow consultants or researchers who create surveys on behalf of multiple clients to create a profile for each client so that the invitation footer can reflect the client’s correct contact information. As always, if you have any questions or concerns about the update, please feel free to Contact our Support Team.